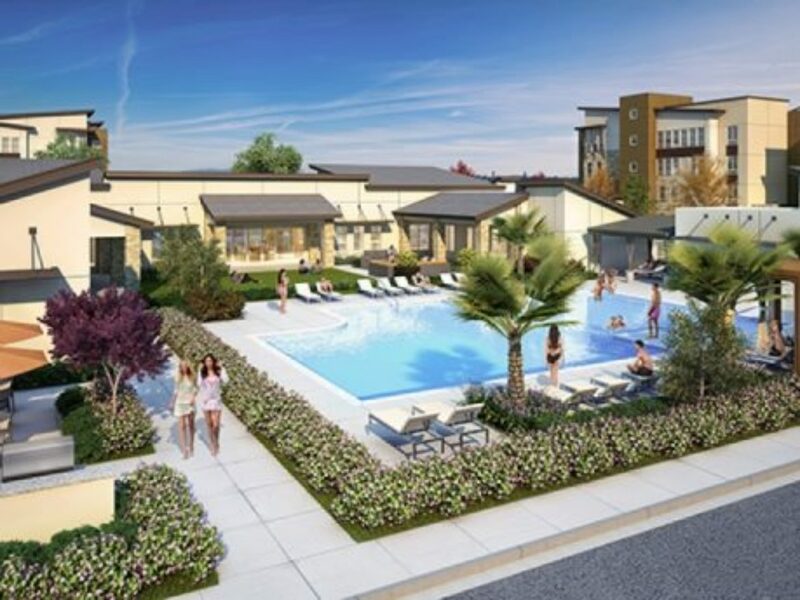 SACRAMENTO, CALIF. — AMCAL Equities LLC has closed financing for and broken ground on The Crossings, a 750-bed student housing community located near the California State University, Sacramento campus. The $75 million community is being built within the Sacramento Center for Innovation, an area that has been designated by the city to foster the exchange of technical knowledge and expertise between students, faculty, innovative businesses and technology companies. The project will include an 11,000-square-foot Center for Innovation, to be used by students and faculty. Community amenities will include fully furnished units, a 14,800-square-foot clubhouse with an outdoor basketball court and a resort-style swimming pool. The developers received $22.5 million in funding from Anchor Real Estate Capital, and a $50 million construction loan from JPMorgan Chase.